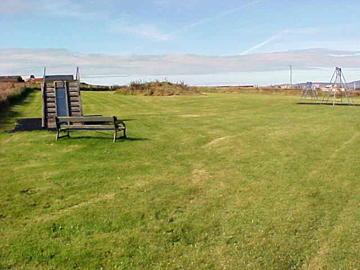 The Flotta Play Park Action Group was formed at the end of May 2006 and consists of parents: Julie O’Neill, Sarah Johnson, Paul Johnson and the Head Teacher Fiona Grahame. The current Flotta play park was built in 1976 and consists of 4 swings and a slide. It is in quite a poor condition and isn’t very exciting or challenging for the children of Flotta. The Pupil Council of the school has chosen the play equipment they would like in the new park: a climbing frame, a see saw, a roundabout and a 30m cable rider. The new play park, however, will also include a community garden with seating so that all ages will find it a pleasant place to come to. This will transform the current space. This all costs lots of money – £40 000 is the estimated cost of buying the equipment and installing it. The action group has, therefore, embarked on a fundraising spree and currently has £2200. Not a month goes by without some event or other taking place. 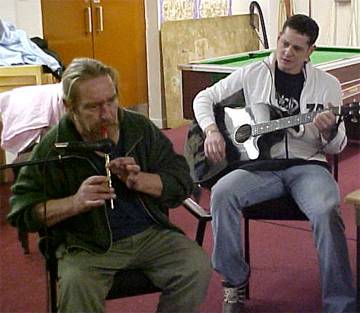 They have held a dance, karaoke nights, talents nights, beetle drives, pub quizzes, afternoon teas and fish and chip nights. The latest event is to be a Chinese take away night. There has been a lot of support from the islanders of Flotta and from the men at the terminal who come up to the Community Centre bar to support the events. Currently the play park development is working its way through the various council committees and the action group is applying for funding for a wide range of sources. This entry was posted in Community News by S. M. Hewitt. Bookmark the permalink.